Honda Motor Company managed an impressive 8.1% increase in net income in the first quarter, bringing total quarterly income to $1.69 billion. 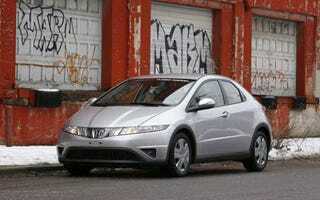 Honda managed this despite quarterly revenue dropping by 2.2% to $29.64 billion. So why are Chrysler and Ford losing money hand over fist and Honda making money with despite having to deal with the same rising material costs and decreasing sales in the U.S. market?